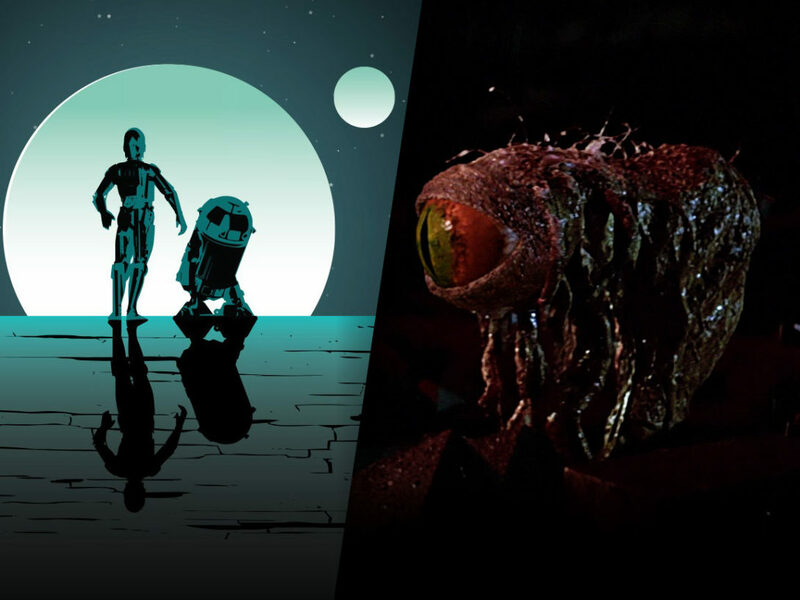 Two StarWars.com writers discuss their favorite titles and where new readers might want to jump onboard. On the Comlink is a feature in which two StarWars.com writers get on the phone and discuss a specific Star Wars topic. 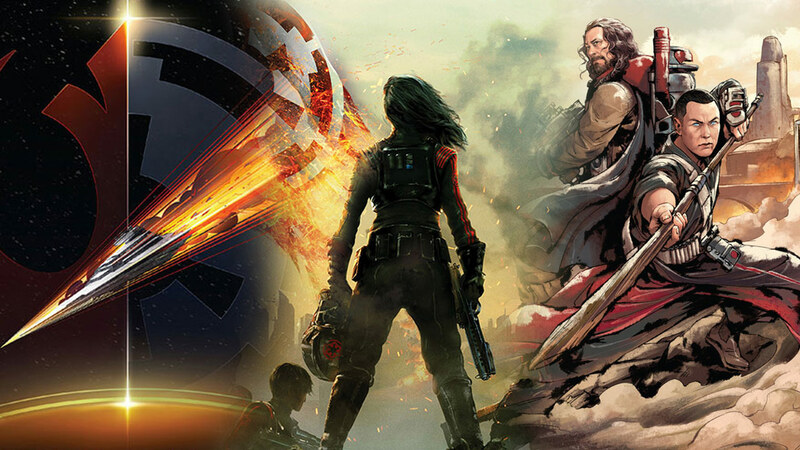 In this installment celebrating Star Wars Reads, Megan Crouse and Amy Ratcliffe talk about where fans might want to start reading Star Wars novels, young adult and middle grade books, and short stories set in a galaxy far, far away. Amy Ratcliffe: People ask constantly, “Where should I start reading?”, to the point where I made a spreadsheet. Megan Crouse: You sound much more organized than I am! I’ve taken my cue from the editors at Del Rey, who are always very open about how you can start wherever you want depending on what your interest is. I have my personal favorite books, but the conversation is usually about what the other person wants from the series. AR: Well, organized-ish! I have them in chronological order, and I had to make a spreadsheet because there are so many books now that I forget. But the notes are like “read this one if you really like Ahsoka!” or “read this one if you really like politics,” and then there’s my personal ranking of them. MC: That brings up a point I think that I think a lot of people might be thinking about, especially if they go into it without having had a conversation with other fans about it first. 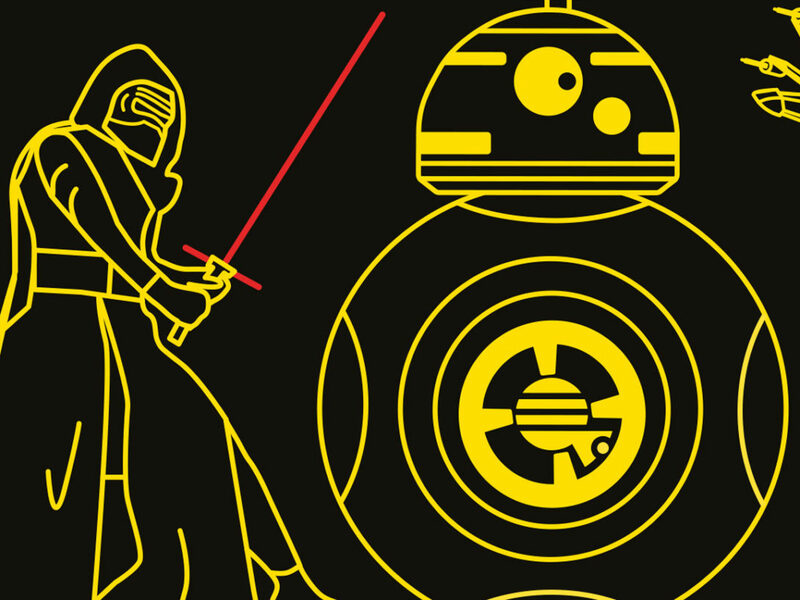 Is it valuable to read Star Wars books in chronological order? Or in release order? AR: I don’t think it matters. I’ve been reading them in release order just because I keep up with them, but I think that if you’re coming into this and you have over 10 titles now, not to mention the young adult and middle grade stuff, pick an era you like and start there. MC: I agree. I think it’s fun to read them in chronological order, but I never really found a lot of value in recommending that because, as you said, it depends on what the individual person wants. I’ve also been reading them in publication order just because I’ve been following them, and I found that to be perfectly fine. You don’t lose anything if you’re not reading them in in-universe order, because you have the movies to anchor the characters you’re reading about. 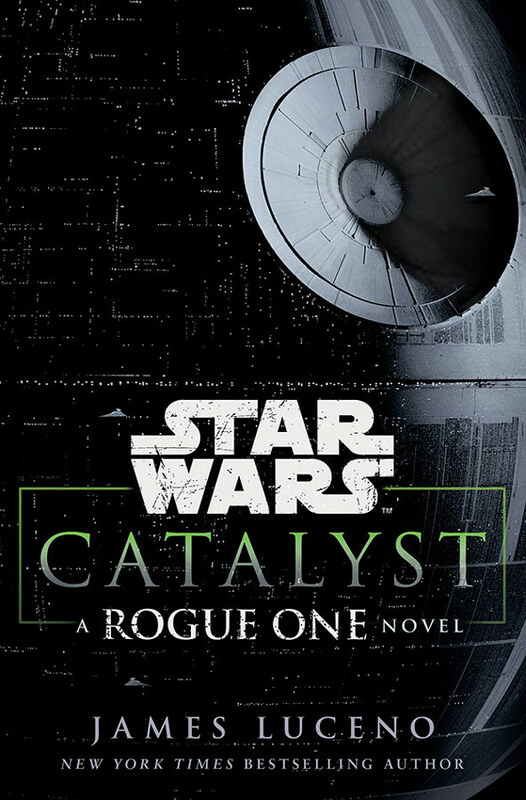 Some books, like Catalyst, are so closely tied to the movies that if you were going to do them in chronological order you’d almost also need to watch the movies in chronological order as well as you went along, which I think is a project that, while admirable, is not how most people get into Star Wars. AR: I don’t know that everybody has that much time. I encourage people to think about and realize you by no means have to read everything. That’s something I got intimidated by with Legends, because there was so much. It took me a while to realize that’s okay. You don’t have to read everything. MC: There’s a lot of value in reading things that you don’t necessarily think might be for you, too. 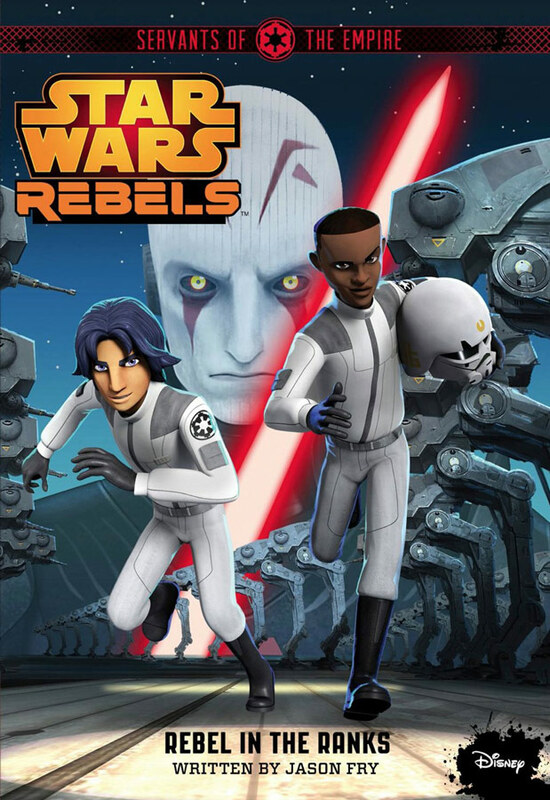 One of my favorite parts of the current releases is the Servants of the Empire series, which are middle grade books that tie in to [Star Wars] Rebels. Even if you’re not a big Rebels fan, if you like the original trilogy and you want to hear how the Empire affected people and the terror it brought, not only to the galaxy at large, but to individuals and to planets on an environmental scale, Servants of the Empire is a really good series. It’s something that can be easily overlooked if you’re not familiar with the middle grade books. AR: People should be open-minded. 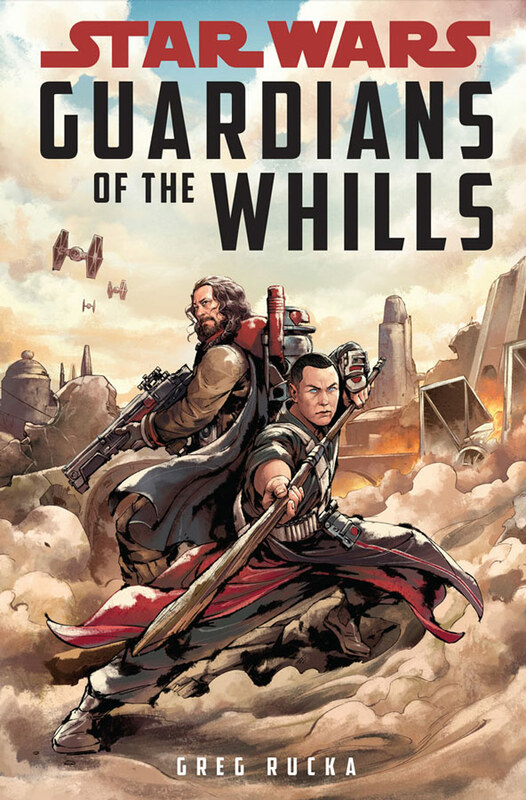 If you’re going to read something as an adult, maybe your first thought isn’t, “I’m going to pick up this middle grade story or this young adult story.” However, Guardians of the Whills is a middle grade story, and I thought it was fascinating to see more of Baze and Chirrut. It’s also a really fascinating look at Chirrut’s spirituality and the ways in which other characters who are not Jedi look at the Force and think about the Force. It has an on-the-ground perspective of what it’s like to be on this planet that’s just minding their own business when the Empire comes in and finds something valuable. It’s also wonderful writing. It doesn’t feel like the vocabulary is directed toward middle grade kids. I would encourage people not to discount any titles just because of the age group they’re written for. MC: A New Dawn, which was the first novel published in the current releases, is an appropriate place to start for some people. 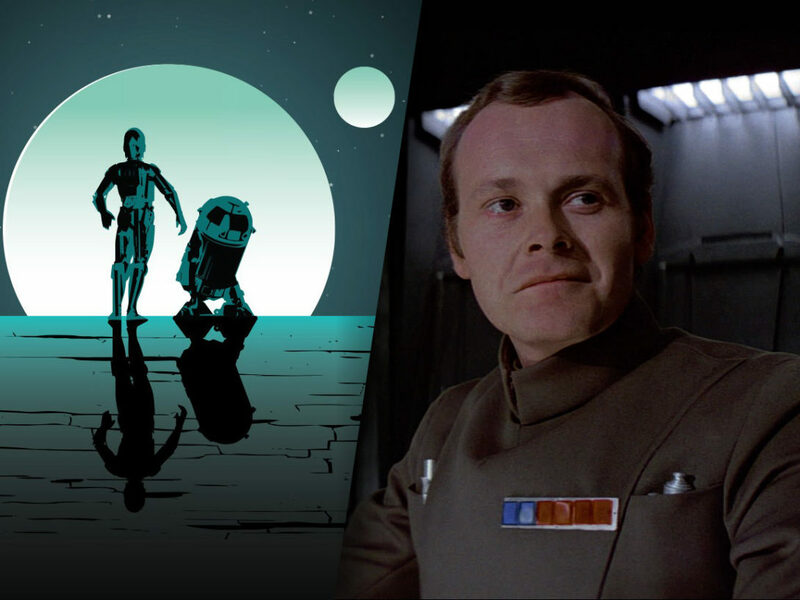 It ties into Rebels, but it’s very firmly planted in the original trilogy, so if you’re familiar with the movies you’re going to come across some characters you don’t know, but it’s set before they appear on the show, so they’re going to be introduced very effectively. That book also introduces Rae Sloane, later Grand Admiral Sloane, who is a great character who recurs in later books. I really enjoyed following her story, because she appears in several short stories and the Aftermath series. So if you get attached to her, there’s plenty of material there for you to follow. 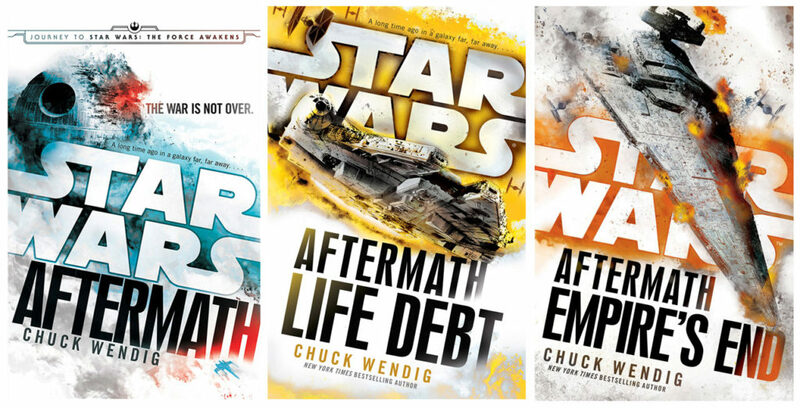 AR: Which reminds me, the only books I would recommend reading in chronological order are the Aftermath trilogy, which are the only series of books outside of middle grade. 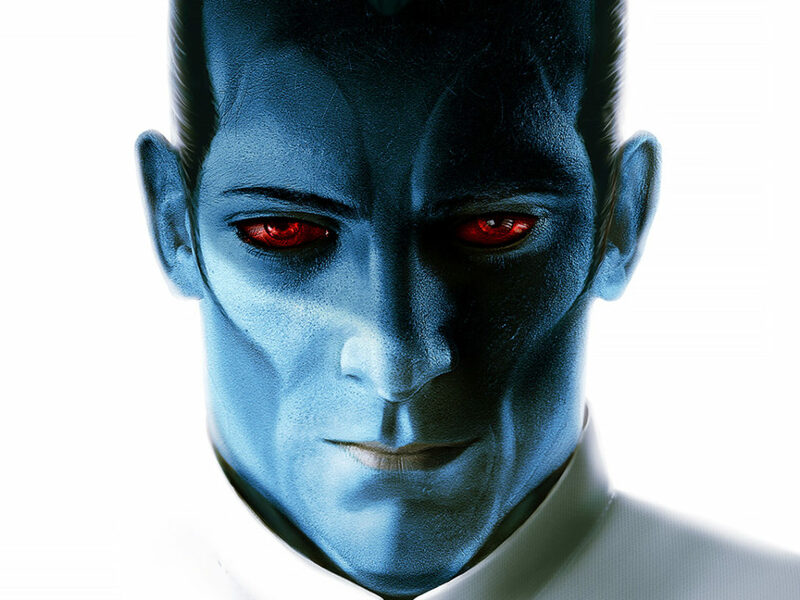 MC: I think Aftermath is a good place to start for original trilogy fans, and I’m curious to see if you think the same thing. It does include some original trilogy characters, but it focuses on a new cast and talks about the state of the galaxy after Return of the Jedi. It’s also good for people who like the sequel trilogy best, because it has a really fun story and provides information about both eras. AR: It’s a good bridge. You can get a taste of old and new, because it was the first title to pick up on what happens after the Battle of Endor and shows how the governmental power in the galaxy shifts and also how it doesn’t. And the way it ends, it ties nicely into the sequel era. I also think a couple good ones for the original trilogy era are the Battlefront books. There are two now. 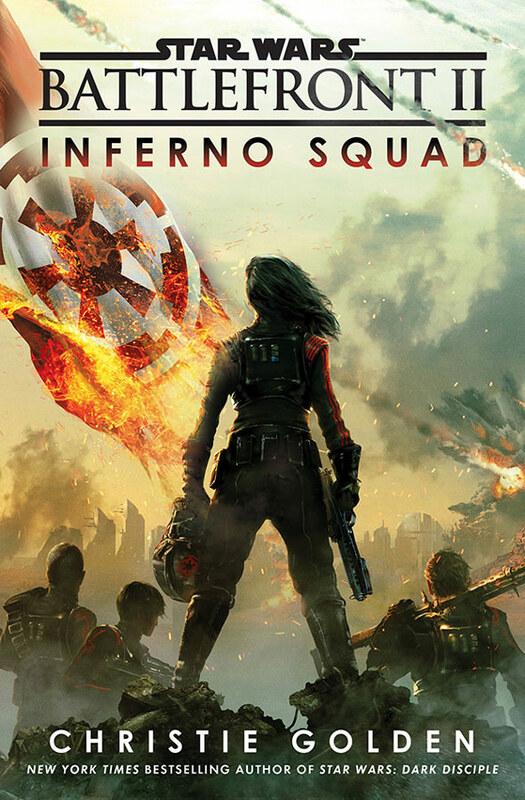 The first one was Twilight Company and it was about the rebel side, and the newest one, Inferno Squad, is from an Imperial point of view. 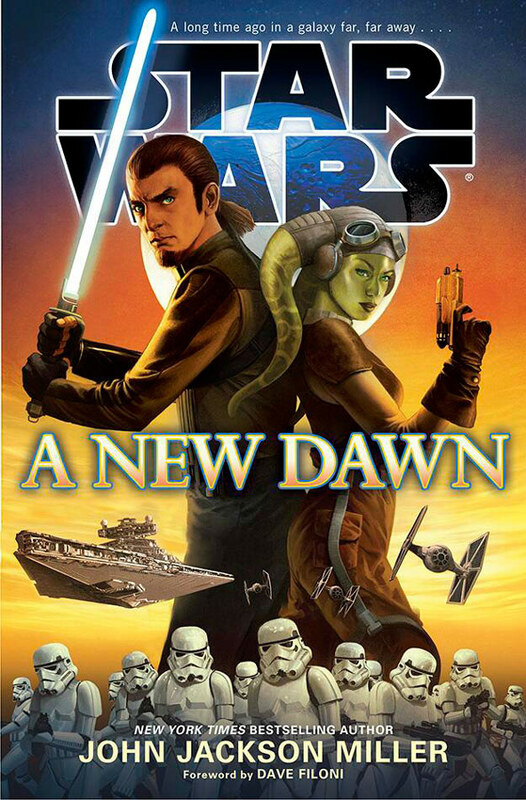 It’s closer to the beginning of the original trilogy, where Twilight Company is closer to The Empire Strikes Back. It’s an interesting perspective on the civil war from soldiers, and it references events like the Battle of Hoth and things you’re familiar with from the original trilogy. MC: I agree. Both books are really good. I think Twilight Company is an interesting example because it’s very different from other Star Wars books in a way. It takes that message of hope that is so central to Star Wars and puts it in this very gritty, very realistic atmosphere. AR: In Inferno Squad, I really connected to Iden Versio. As someone who identifies as a rebel, it’s a little unnerving to see an up-close view of the Empire and follow them and understand where they’re coming from. I don’t agree with it, but I see why she thinks she way she does. That’s a perspective I wouldn’t necessarily have without the novels. Most of the time, the films are focused on heroes and what they’re thinking. 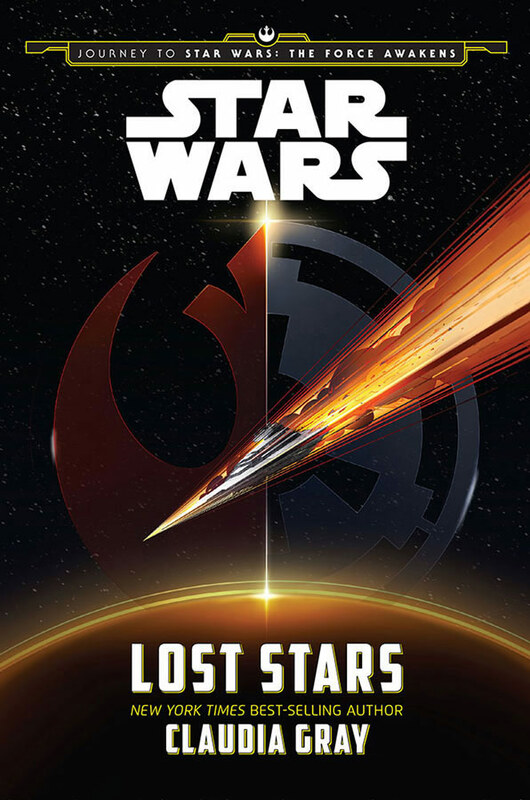 So Inferno Squad and Lost Stars, which is my personal favorite, gave me an insight into the Imperial side of things I didn’t previously have. I appreciate that we have an avenue to explore that in Star Wars thanks to the novels. MC: Lost Stars is so good. That’s another one that is a standalone story. It visits the events of the original trilogy, but it involves characters who are very self-contained and it’s a relatively quick read. It’s a very powerful Romeo and Juliet-type of story. AR: It’s another thing that novels can do that the films can’t: they can do different genres and take the time to explore them. I get so excited when someone asks me what they should read. There are so many options! MC: I think that’s sort of both the paradox, and the great opportunity in that question, and that question, “Where should I start?” Because with so many different areas of the Star Wars and so many fans with different tastes, and of different ages, and who came into the saga at a different time, it’s not necessarily right to say that one book is perfect for all people, but there are lots of good starting points. And one of the other many cool things about the novels: They take place in between these films that we all know or sometimes concurrently with them, and they add shades of understanding. You can go into the movies with more perspective. It makes little differences, but important ones. MC: Yeah, and differences as important as we get to meet Korr Sella before we meet her in her small part in the movie, and you really get to find out what her story is. 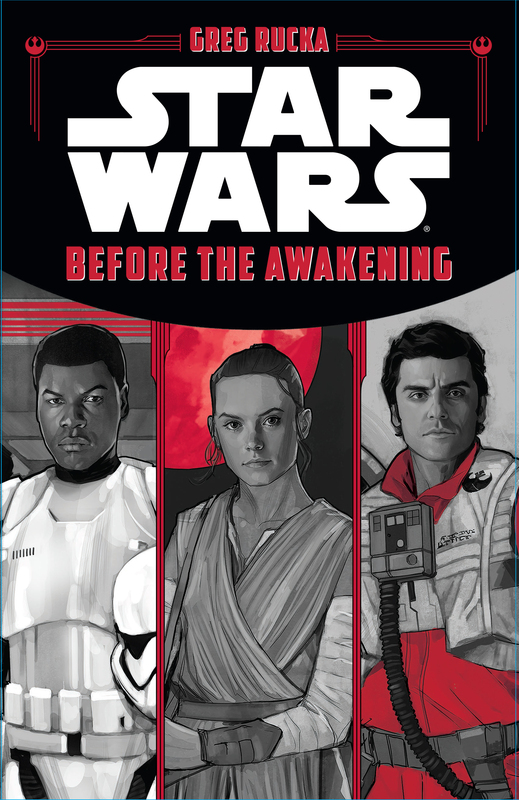 One that I wanted to make sure to mention exactly because it’s really connected to my experience of the movie was Before the Awakening, which came out as part of The Force Awakens tie-in books. 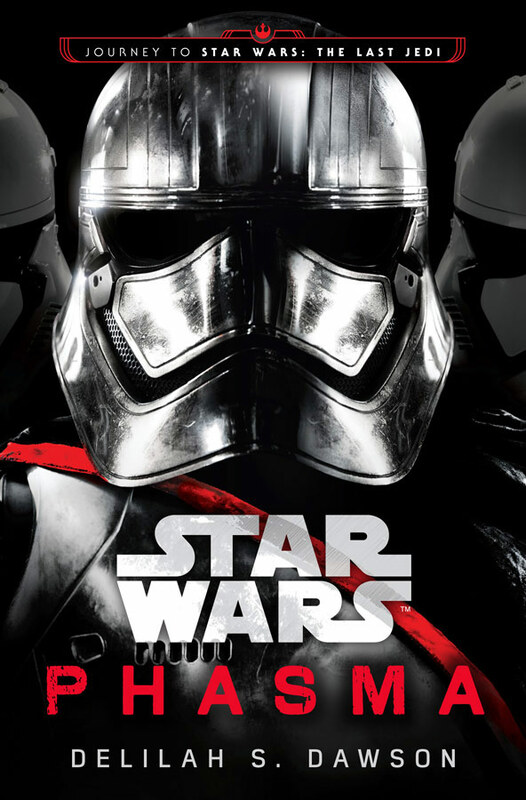 It talks about the characters of The Force Awakens before the movie starts. It’s a short book, but it’s one of those books where it almost feels like it’s part of the movie because the stories are so tied to what we saw on screen. AR: This is making me want to re-read a bunch of novels. MC: I know! The the last thing that I wanted to say was that I was always a big fan of Legends. I cannot have more love for what those books meant to me when the prequels were coming out and afterward, but part of the strength of the current books is that they are tied so closely to the movies, and I really enjoyed seeing what they’re doing and also where it’s going to go next. AR: It sounds like a cliché thing to say, but it’s true — with the novels there is something for every Star Wars fan, whether you want to focus on Luke Skywalker, new characters, the Force, just pick a topic and ask a friend who’s read the novels, because they can point you towards a book. The more people that read the books, the more people I have to talk to about them, and that’s fun for me. I can’t wait to see all the things we get to read next. What’s your favorite Star Wars book? Let us know in the comments below!